Mould Inspection in London, ON | Icon Home Inspections, Inc.
Icon Home Inspections, Inc. is the mould inspection specialist in the London, Ontario region that offers personalized, dedicated services to its clients. 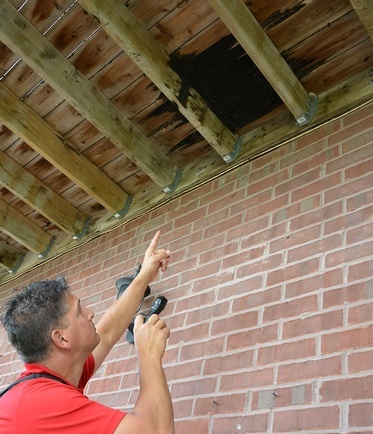 Our Certified Home Inspectors in London, ON offer flexible appointment options to accommodate your schedule. Whether you want to determine the extent of recent damage to your property or simply want the peace of mind in knowing that your home is free from dangerous health contaminants and hazards such as mould, our staff is available to discuss your needs. Our London Home Inspectors have more than 20 years’ experience helping clients, like you, protect their property. Our Certified Home Inspectors will quickly locate and test for any pollutants in your property and are prepared to answer any questions you have regarding your home’s environmental safety. In addition to a thorough inspection, our Home Inspection Company in London, ON also offers odour removal services to rid your home of unpleasant conditions. At Icon Home Inspections, Inc. our London Home Inspectors are fully certified and insured and are eagerly ready to help you make the right decisions regarding your property investments. Book an Appointment With Certified Home Inspectors at Icon Home Inspections, Inc.